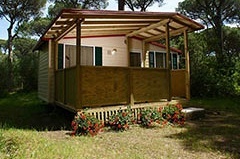 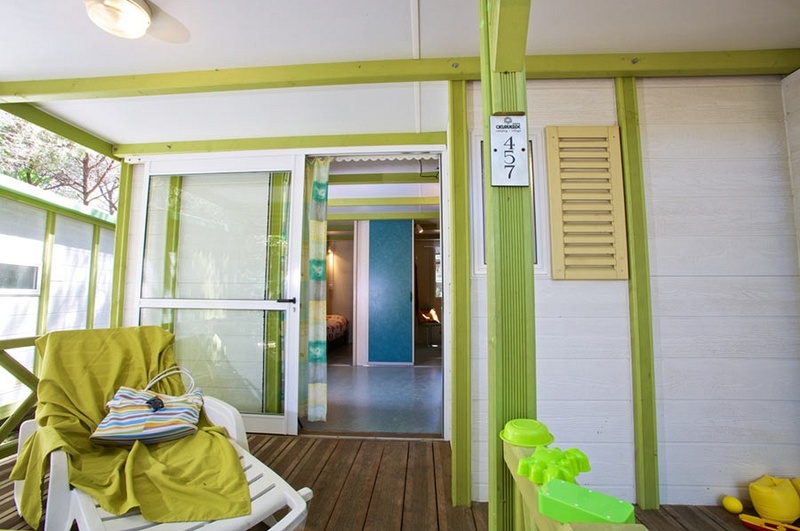 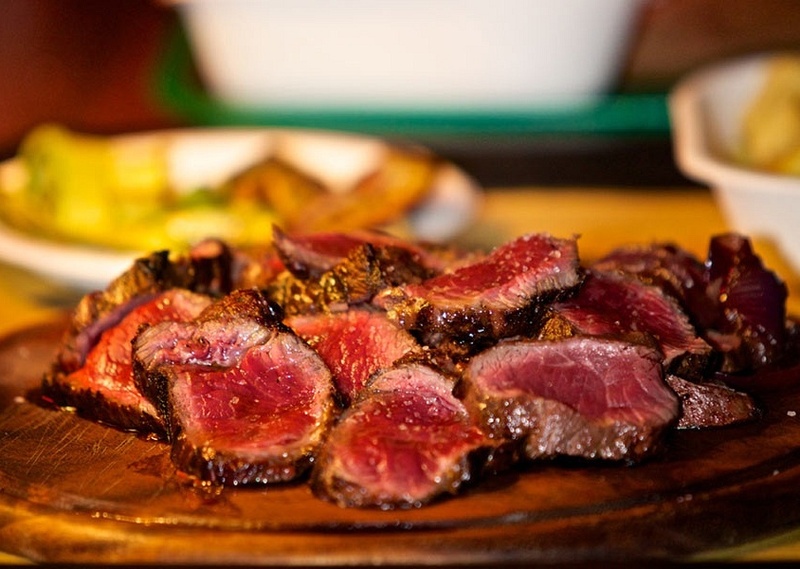 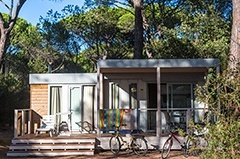 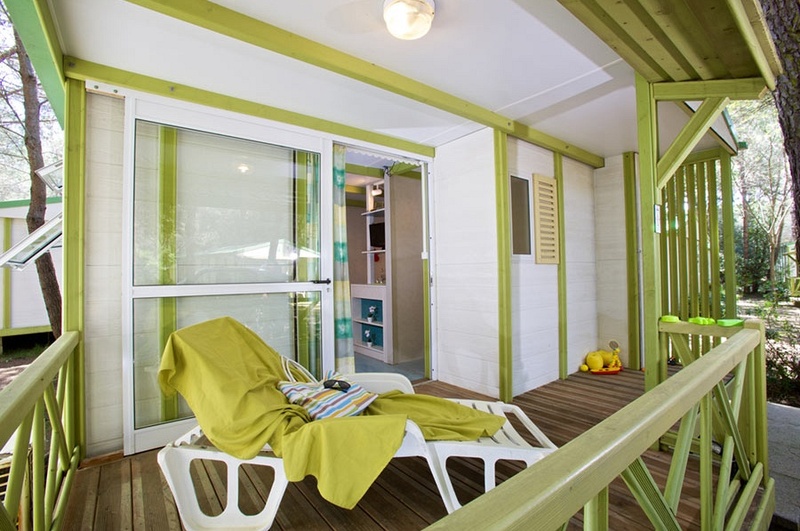 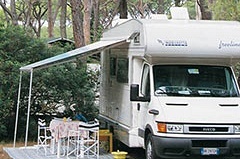 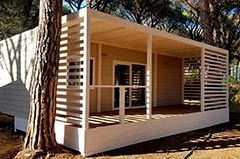 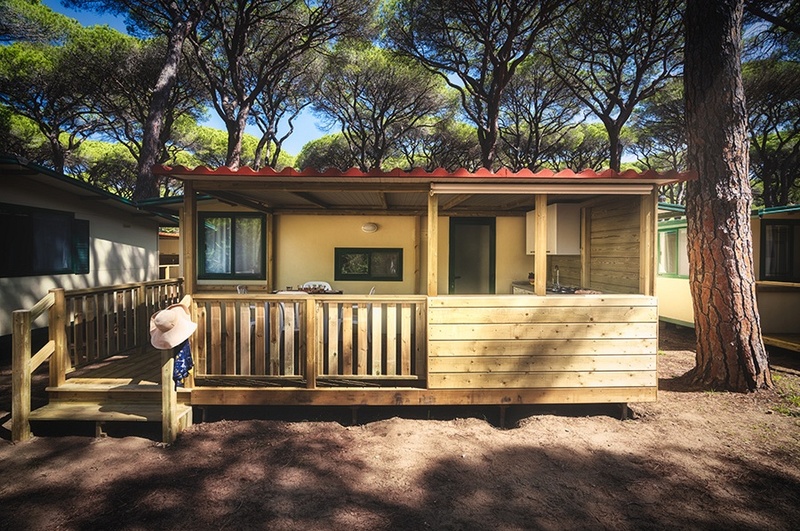 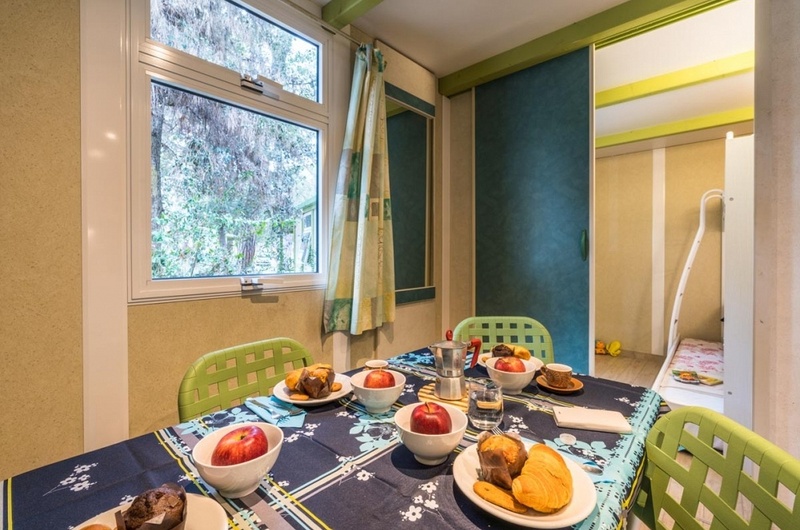 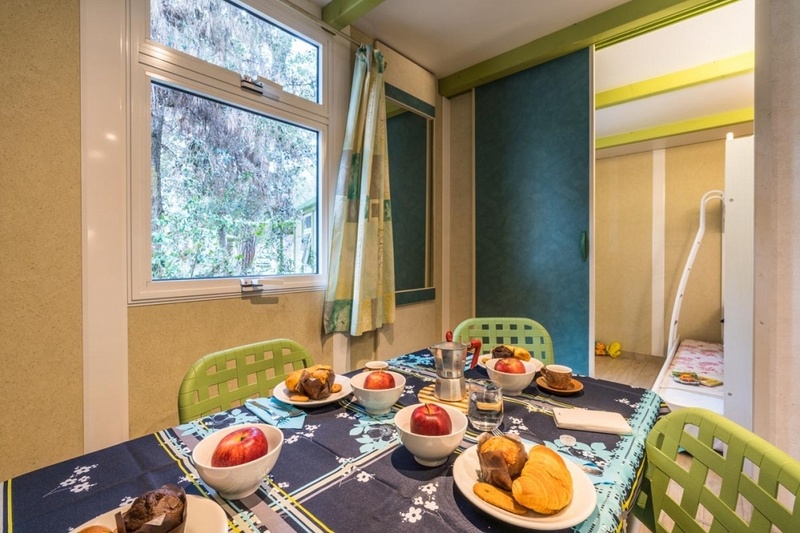 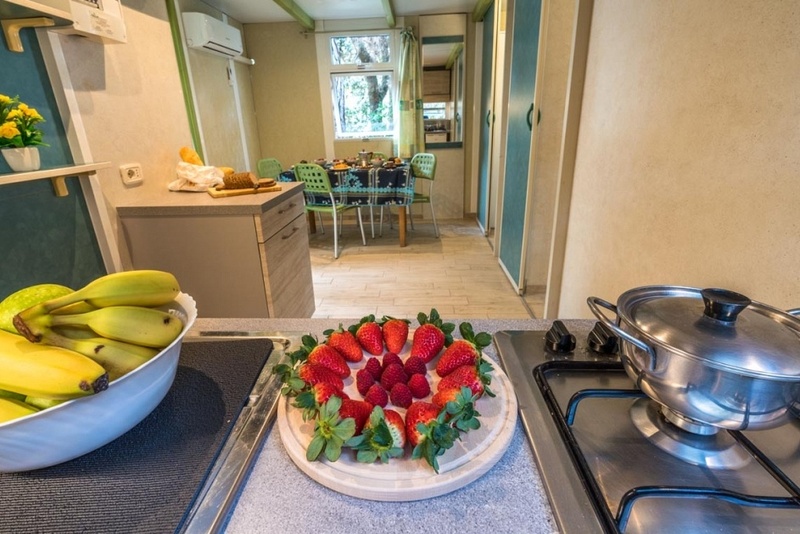 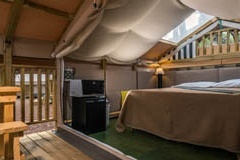 Bungalows at Cieloverde Camping Village are plunged in the long established pinewood. 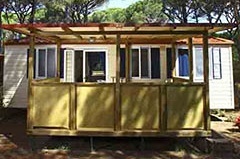 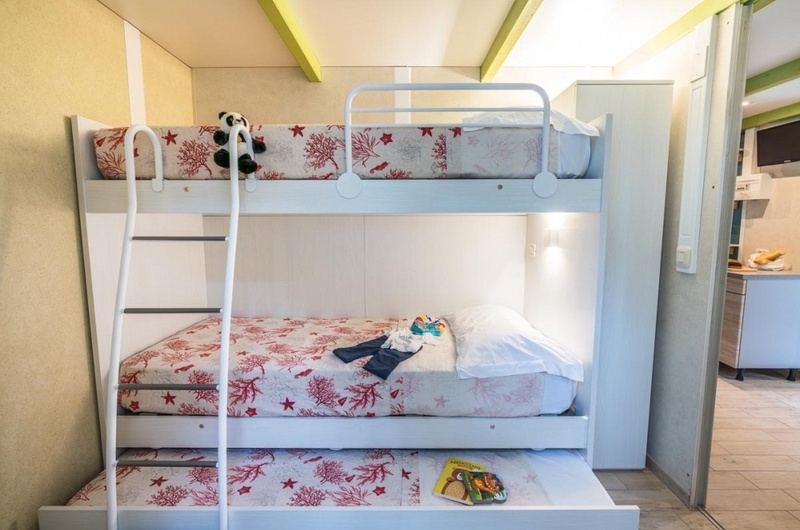 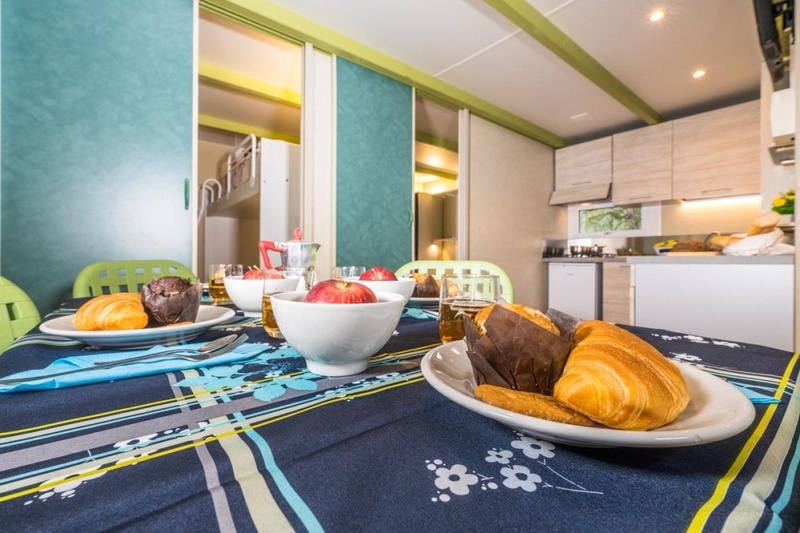 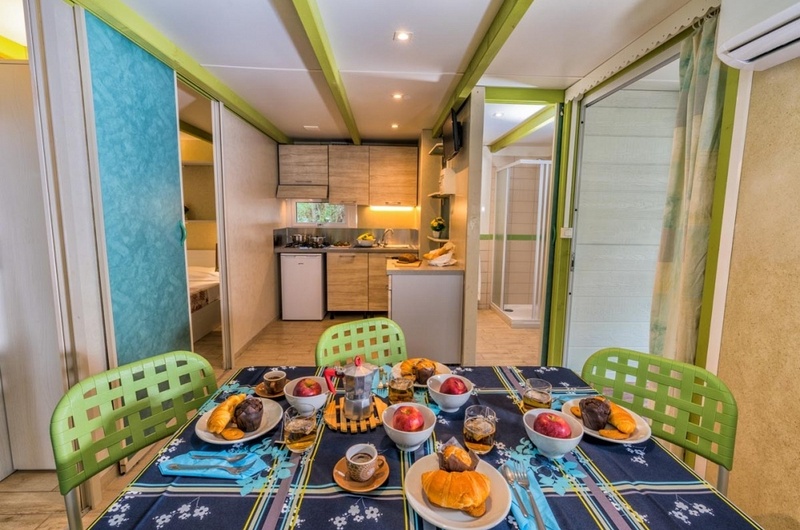 They are large (30sqm + veranda), elegant and comfortable and can sleep up to 4+1 guests. 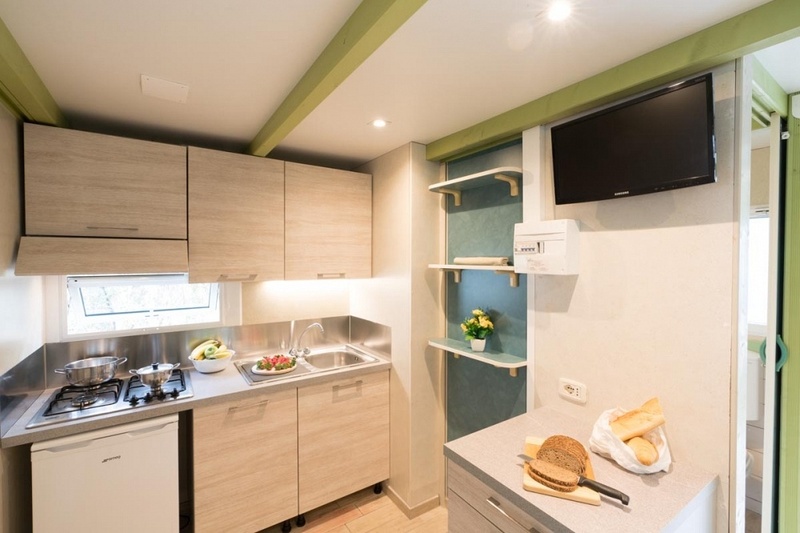 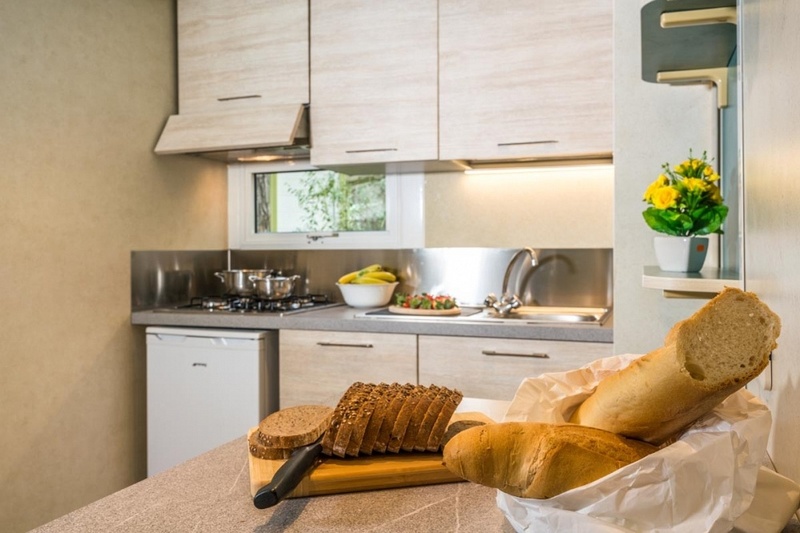 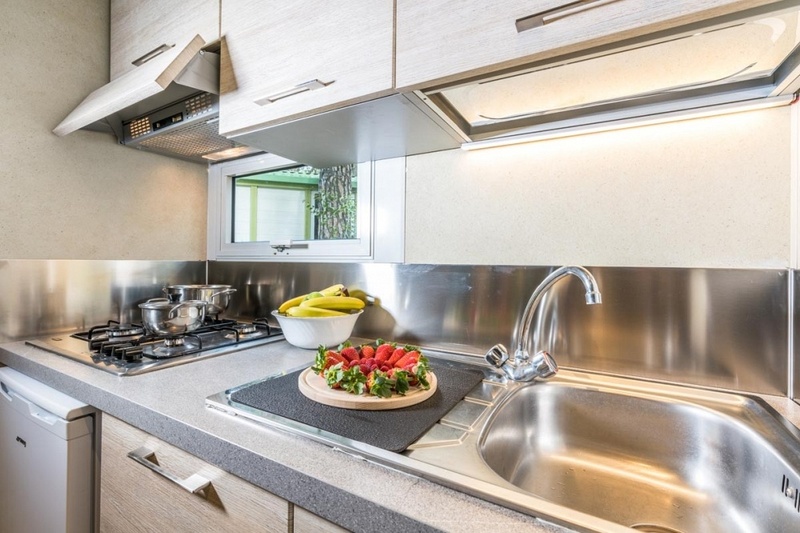 They are composed by one double bedroom with safe deposit-box, one bedroom with 3 single beds, living room with SKY TV, kitchenette fitted with cook top, fridge with ice-compartment, table and chairs, kitchenware and cutlery. 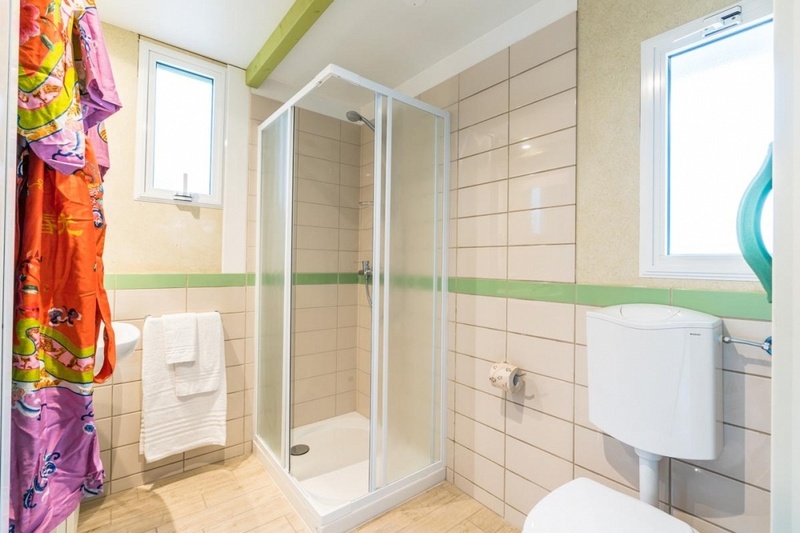 A bathroom with shower, sink and WC. 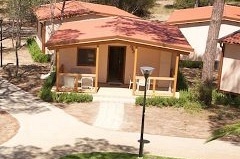 They have a covered veranda furnished with table and 2 chairs.. 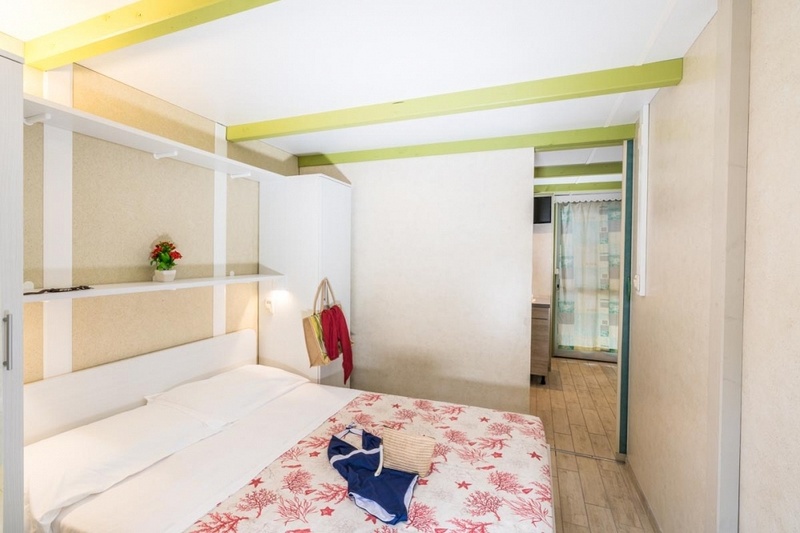 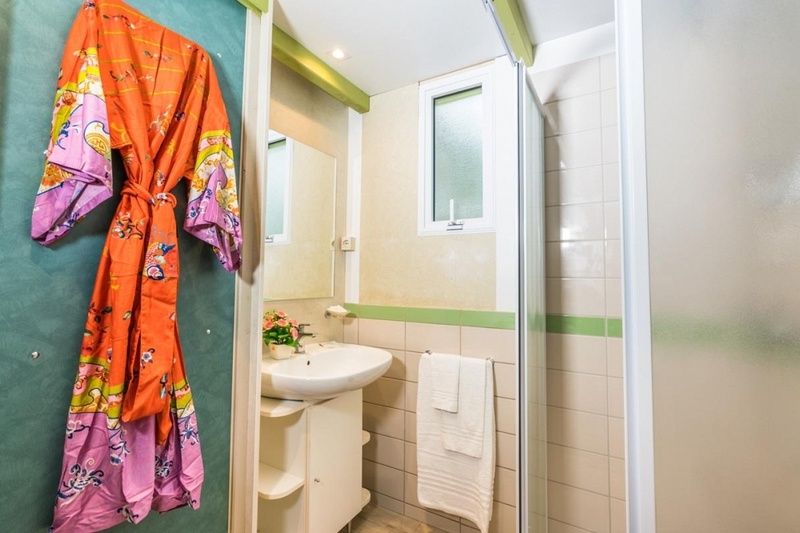 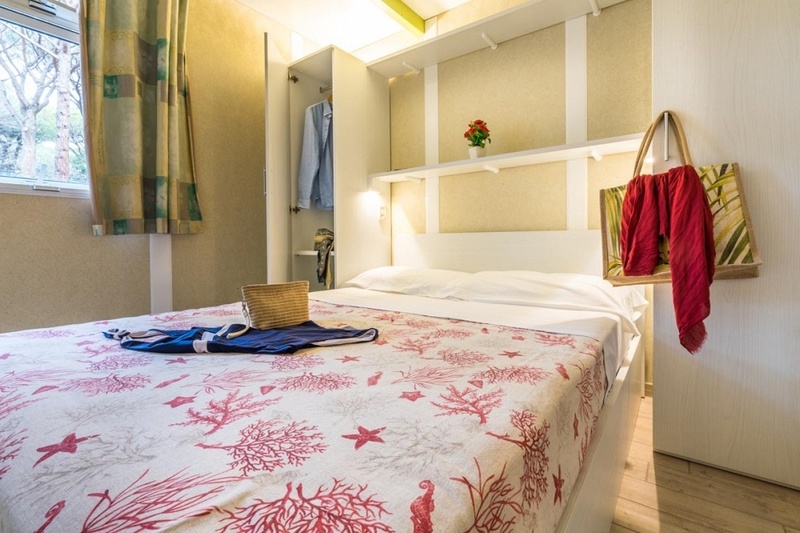 They are provided with Wi Fi, air conditioner, mosquito nets in the bedrooms, clothesline, 1 sun bed, blankets, pillows, bed linen with weekly change. 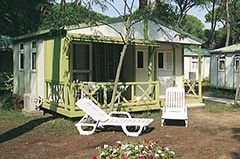 Bungalow can be hired from Sunday to Sunday.